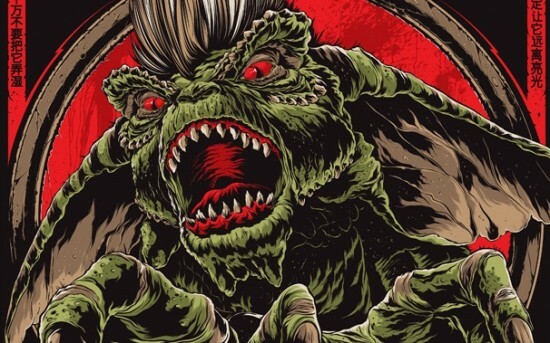 1 jurassic park | This Blog Rules | Why go elsewhere? Will the dinosaur crave ever die out? No, Jurassic World, it won’t. If we really had a real and proper zoo dedicated to the ancient giants, there are zero chances that we’d ever grow bored of them. Just think of how old normal zoos are. Regardless of how many times we see zebras and lions with our own two eyes, there’s still some excitement bubbling at the back of our heads. Can you imagine what it’d be like if we could really have an open and functioning Jurassic Park? Well, if there’s anything the Jurassic Park movies taught us, it’s that this is a very bad idea. Dinosaurs went extinct before the first humans appeared and, therefore, we don’t belong to the same timeline. It would be only a matter of time before a T-Rex or an Indominus Rex breaks free and wreaks havoc in its wake. “Reviving a dead wild species is bad,” we get it, movie makers. You’ve got your message across. But you know what you also got across? Some scientifically wrong facts about dinosaurs. The first movie came out in 1993, so we can’t expect for scientists then to possess as much information over twenty years ago as they do now. In fact, we must give credit where credit’s due – Spielberg went out of his way to hire a bunch of dino experts on the set to make sure everything was as accurate as possible. And it was, but for that respective time period. 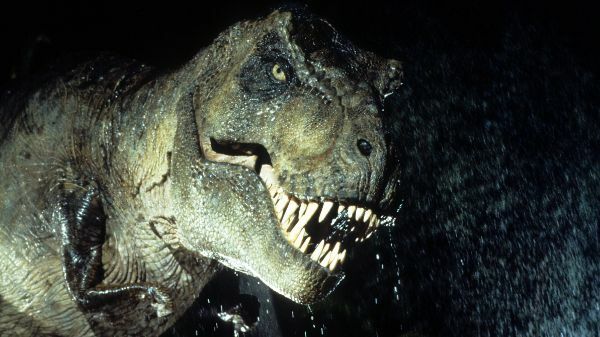 What exactly did the Jurassic Park movies get wrong, then? Read on. They’re the Distant Ancestors of Chickens, Remember? When we first heard that the closest thing we have to a T-Rex today is a chicken, we all cracked a chortle. Denial won’t get us anywhere because it’s true. Years after Jurassic Park hit the theaters, paleontologists discovered solid evidence (in the form of fossils) that dinosaurs were, in fact, covered in feathers. 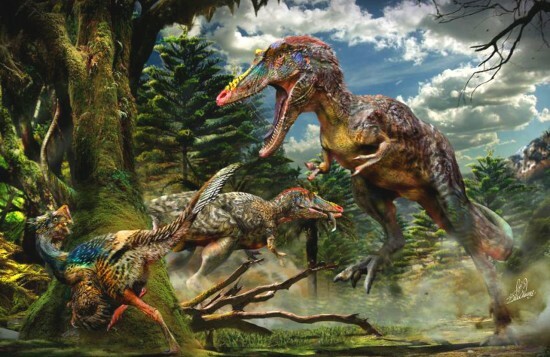 Everyone, from the gigantic T-Rex to the infamous raptor, was allegedly coated by layers of colorful feathers. They seem to have been useful for a variety of things, including keeping warm, mating rituals, or even flying (in the case of flying dinosaurs, please don’t imagine a flying T-Rex). So, Jurassic Park definitely gets a pass for this, given how the knowledge wasn’t available at the time. 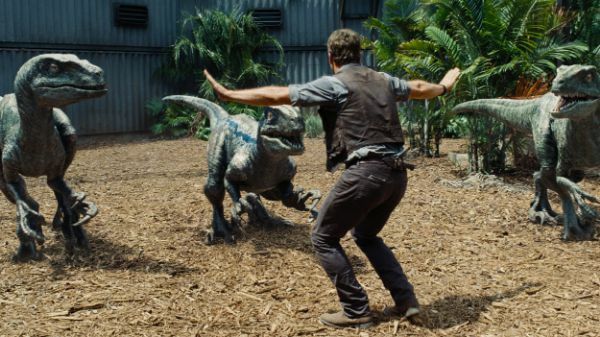 But what’s Jurassic World’s excuse? In the Jurassic Park movies, the velociraptors were some of the biggest threats, making recurring appearances in all of the four movies up to date. That’s understandable when you remember that they’re 6-feet tall carnivores with enough intelligence to turn doorknobs. We’ll get later to the last part, but we do know that their size was greatly exaggerated. 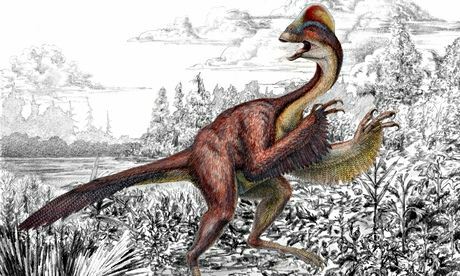 In reality, paleontologists have estimated that velociraptors were no bigger than a chicken of a slightly-above-average height. The opposite happened too, with several dinosaurs having their sizes considerably downplayed in the movies. 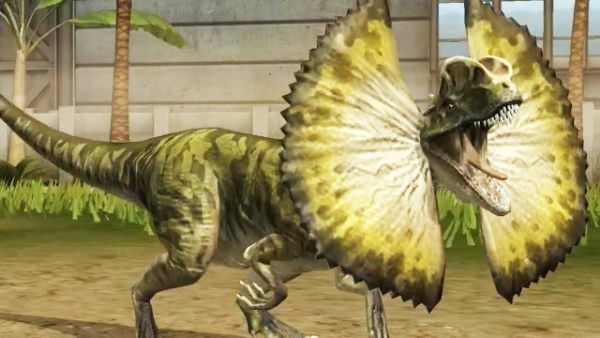 For instance, the venom-spitting dilophosaurus was actually a 23-feet tall giant. The good news is that it didn’t actually possess any frilling or venom-spitting abilities. Even the T-Rex’s size was (admittedly, unknowingly) downgraded. Recent discoveries have proven that the king of dinosaurs was actually roughly thirty percent bigger (or, better said, fatter) than its movie portrayal. The Intelligence of a Dinosaur Hannibal Lecter? So, about the intelligence of the velociraptor. Paleontologists seriously doubt that it was able to turn doorknobs or be as easily trained as Owen Grady made it out to be. 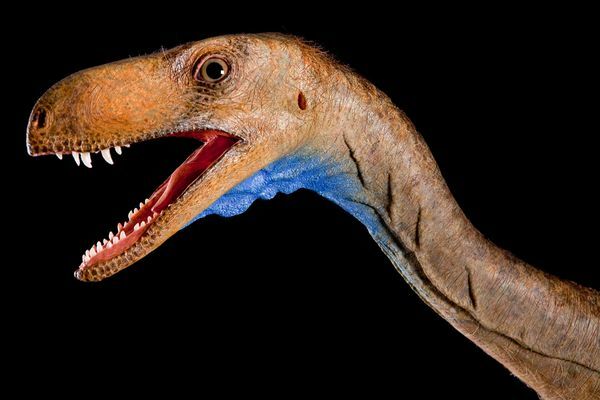 There is a scientific consensus that the velociraptor was, truly, smarter than the average dinosaur, but that would only put it on par with your average modern bird. One of the most iconic (and chilling) scenes in the Jurassic Park movies was the famed jeep chase scene. Not only was it the source of many children nightmares, but also of scientific controversies? Was the Earth’s greatest predator truly fast enough to catch up to a speeding car? Probably not, as recent studies have estimated a T-Rex to reach a speed of maximum 25 miles per hour. On a good day, Usain Bolt might be able to outrun a T-Rex on foot. 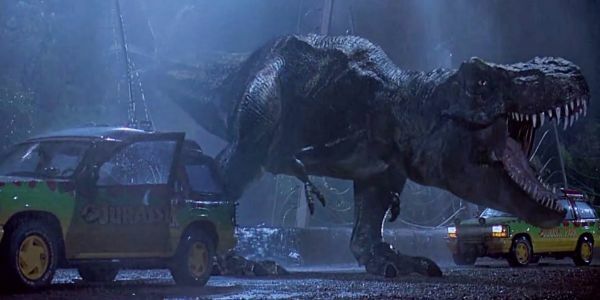 However, same discoveries have revealed that the T-Rex had a hunting arsenal that wasn’t at all loyally portrayed in the movies. Remember how Alan Grant said they have bad eyesight and that they can’t see you if you don’t move? Well, they seemingly possessed eyesight that could put even eagles and vultures to shame. Combine that with an acute sense of smell and the most powerful bite force of any animal that’s ever lived (roughly three times bigger than a tiger’s or a white shark’s) and you’ve earned yourself a nightmare-inducing predator. Every child in this world has seen Jurassic Park, The Land Before Time or Journey to the Center of the Earth, and secretly wished to see a live dinosaur at least once. Dinosaurs are definitely the most fascinating creatures to have walked the planet. However, our knowledge is very limited when it comes to them. Most people only think about classic ones, such as the T-Rex, Pterodactyl or the Triceratops. In reality, there are hundreds of species of dinosaurs, and every year scientists discover new ones. Let’s take a look at 5 lesser known Dinosaur species that were recently uncovered. The Qianzhousaurus Sinensis, also known as the Pinocchio rex. has a unique and distinctive feature: an oversized schnoz, just like Pinocchio. This snout, which is 35% longer than regular dinosaur noses, has several horns poking out of the muzzle. As you can imagine, this weird dinosaur has a rather ridiculous appearance. As far as the other physical traits are concerned, the Qianzhousaurus is extremely similar to the T-Rex that most people know: it has small, short hands and powerful back legs. The discovery of this tyrannosaur has proved that former fossils, which were considered deformed juvenile dinosaurs stuck in an awkward stage, were actually normal. The elongated nose was probably used for scavenging and hunting. The vast majority of dinosaur discoveries in the past years consisted mainly of meat-eating specimens. However, there has been a major discovery of plant-eating dinosaurs recently. The Yongjinglong Datangi is an enormous, gentle sauropod which was uncovered in northwestern China. It is believed to have belonged to Titanosauria – the largest group of dinosaurs in the world. Although the bones discovered are believed to belong to a juvenile, and even so the entire skeleton measures 18 meters long. 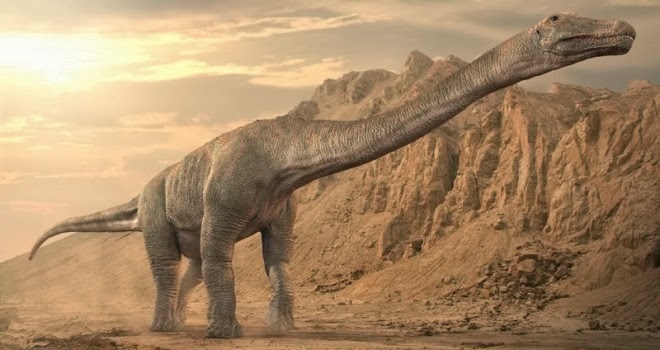 In addition to this, scientists consider that the Datangi dinosaur is one of the most evolutionarily advanced titanosaur in Asia. If you’ve seen Jurassic Park you are probably already familiar with the pterosaurs (the scary flying dinosaurs). 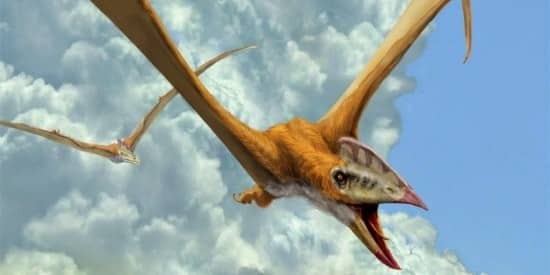 To clarify things, the pterosaur isn’t actually a dinosaur, but it is a close relative of it. The skeleton of a primitive relative of the pterosaurs was dug up in northwestern China recently. This flying-giant is believed to have lived around the Middle-Upper Jurassic period. Unlike other reptiles from its species, which first evolved in the sea, the Kryptodrakon Progenitor evolved on land. What is even more unbelievable about it is the size. The first pterodactyloid pterosaur could reach a wingspan of 1.4 meters, but the Pryptodrakon has the size of a small plane. This is because it moved out toward land, and it needed to walk and fly like never before. 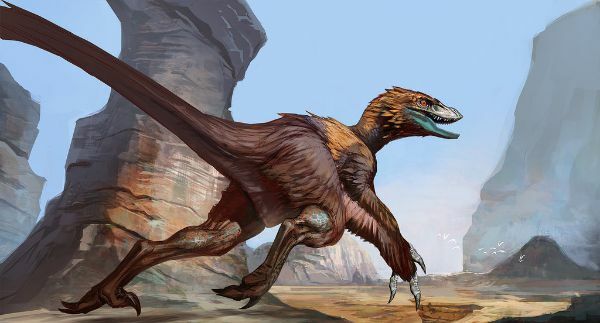 Number four on our list of lesser known dinosaurs is the Eudromaeus, a funny looking “dawn runner” that walked the Earth approximately 230 million years ago. Scientists say that it is the ancestor of the Tyrannosaurus Rex, because it has many similar features (example: air pockets in the skull and a balancing tail). The discovery of the Eodromaeus is invaluable for science because it shows us a glimpse on how dinosaurs evolved (scientists know little about the evolutionary process of dinosaurs). The Anzu Wyliei is without a doubt the most interesting dinosaurs on our list. It was dubbed by researchers “the chicken from hell”. Its scientific name is actually inspired from the feathered demon in Mesopotamiam mythology (if you play World of Wacraft you are probably also familiar with the Anzu Lord from Terokkar Forest – a monstrous blue-winged bird-like creature). Anyway, the Anzu Wyliei looks like a demon version of the cassowary (a large bird similar to the ostriches). Its incredibly well-preserved, extremely large, skeleton was recently found in North America. But what’s so scary about this oviraptor? It is equipped with extremely sharp claws designed for tearing apart small animals and a jaw meant to tear leaves off.